When Refugees and IDPs are forced to flee their homelands from conflict, persecution, and natural disaster- hunger inevitably follows. Among the many challenges of displacement life, food insecurity continues to threaten the education and most importantly, the survival of those impacted. With this in mind, Education Refuge Inc. recognizes the power of nourishing the bodies and minds of those we serve through Project Cultivate. Project Cultivate focuses its efforts on addressing food insecurity of those uprooted in South Sudan through agricultural training and the provision of farming tools. While supplemental nourishment is generously provided by the many refugee camps housing South Sudanese refugees, generally the food rations are not enough to sustain residents for the duration of time between rations. 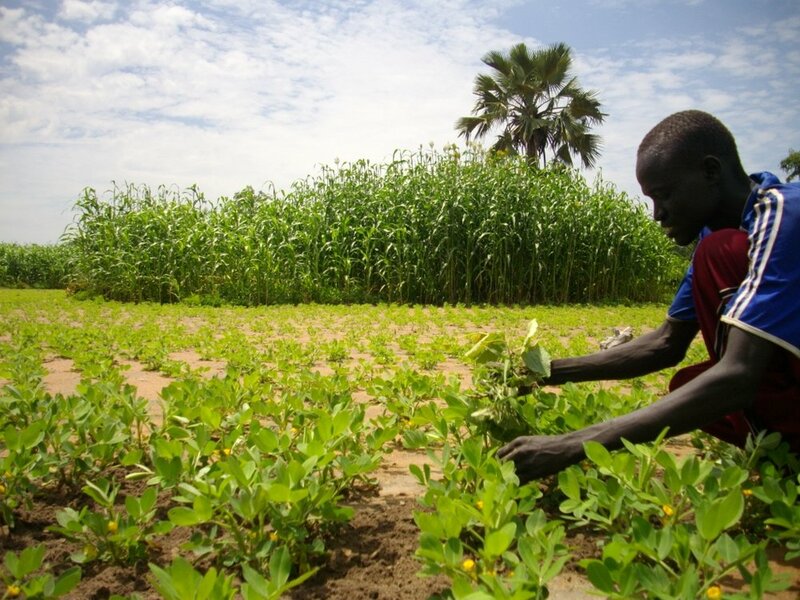 Project Cultivate works to ensure that refugees returning to South Sudan are provided with farming skills and tools to produce their own food, reducing reliance on temporary shelters’ supplies. With this in mind, we aspire to assist refugees in their return and resettlement to South Sudan in order to become productive and self-sufficient in terms of food production. Our founder, Jacob, experienced this struggle of refugee life firsthand and understands the impact of hunger on education. Jacob aspires to translate his past suffering into supportive action for those suffering from malnourishment in the Sudan region. With the help of his university degree in Agronomy and knowledge of the regional agricultural make-up, Jacob plans to share his education with refugees back home through intensive agricultural training.